There are a lot of things we don't have to worry about in Shishmaref: frequent houseguests, demanding social lives, long commutes to work, paying for car insurance, etc. In exchange, we have to worry about polar bears. 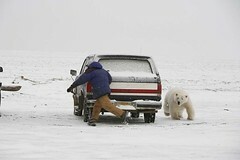 I hate polar bears. I hate every cartoon, stuffed animal, or greeting card that makes them look cute and cuddly. 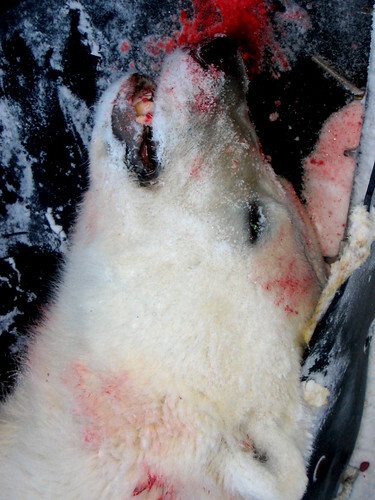 Polar bears are not cute and cuddly. They are scary. Look at the claws in the picture above. The claws were not designed for snuggling. They were designed for tearing open flesh. 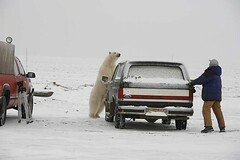 We don't typically see polar bears Shishmaref. They generally come into the village when they're hungry. That means that they're looking for a meal. 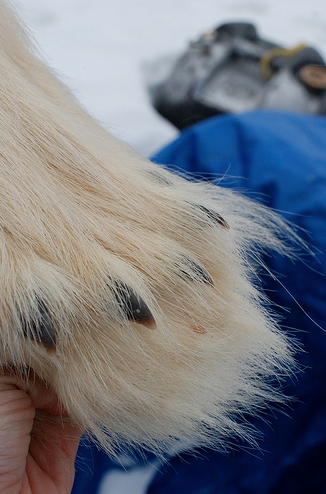 Polar bears are one of the few animals that will attack humans even when unprovoked. The following pictures were not taken in Shishmaref, but the COULD HAVE BEEN! 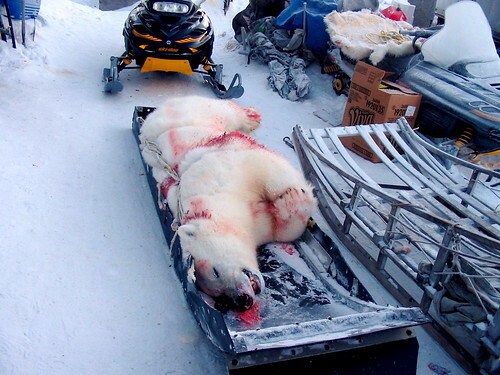 They were taken on the North Slope. The man being chased works with our librarian's son. They work on the oil pipeline. 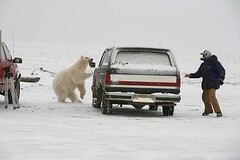 Polar bears are very persistent. 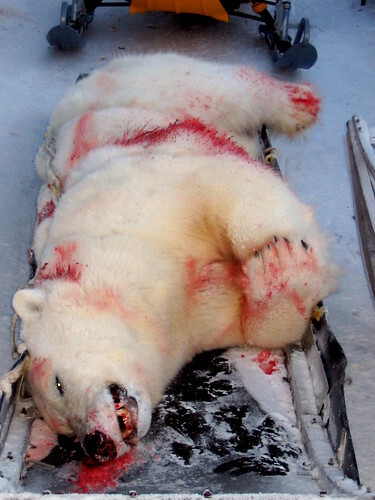 I used to have bad dreams about polar bears. I was always trying to run away or protect kids and something was stopping me. It was always terrifying. My students told me that I think about polars too much. The dreams would stop when I stopped being so afraid. 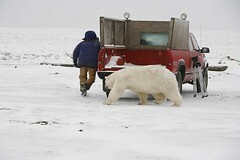 They also asked me what I would do if I was walking with a little kid and a polar bear started chasing us. They wanted to know if I would push the little kid down and run away. In case anybody is wondering, under no circumstances would I ever use a small child as polar bear distraction. The only thing worse than being eaten by a polar bear, would be knowing I fed a small child to a polar bear. 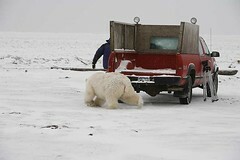 Lucky for me, polar bears don't last long in Shishmaref. Every male over the age of eight is anxious to shoot one. They are quite the prize. 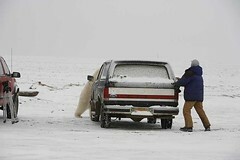 When word gets out about a polar bear in town, everybody grabs their guns and starts riding around looking for it. or this. I just feel safer that way.